Tall bay doors roll open as first responders leap into action. Lights and sirens activate as the Fire Department and ambulance teams pull onto the road. Three blocks away, a police motorcycle and a squad car hear the call for help and follow in close pursuit. 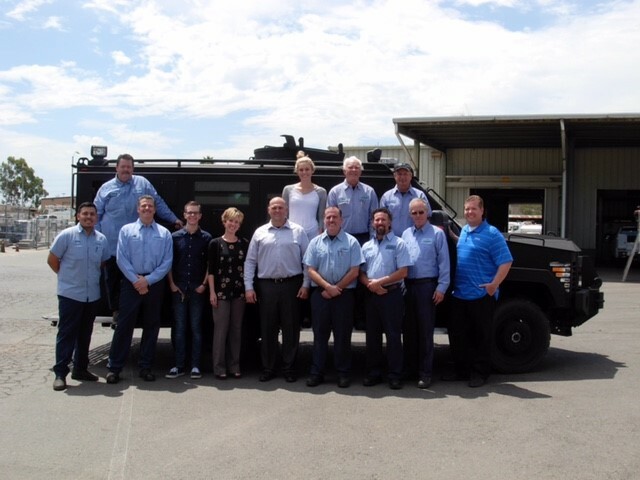 And behind the scenes of a clean, efficient, and safely run Escondido is our professional and dedicated Fleet Services Division. "Without us, the City walks"
Caring for over 675 pieces of vehicles and equipment, our city fleet includes everything from police cruisers to the riding mowers that keep our parks beautiful. 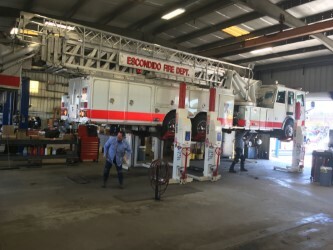 A hook and ladder on a lift is just another day in the life of a Fleet mechanic, who may work on a Parks golf cart, a ranger jeep, a bucket lift truck, or a SWAT response vehicle on any given day. Construction and heavy equipment like front end loaders, backhoes, graders, sewer cleaning jet trucks, street sweepers, fire trucks, and the many moving parts of Public Works are also maintained in-house by our knowledgeable pit crew. 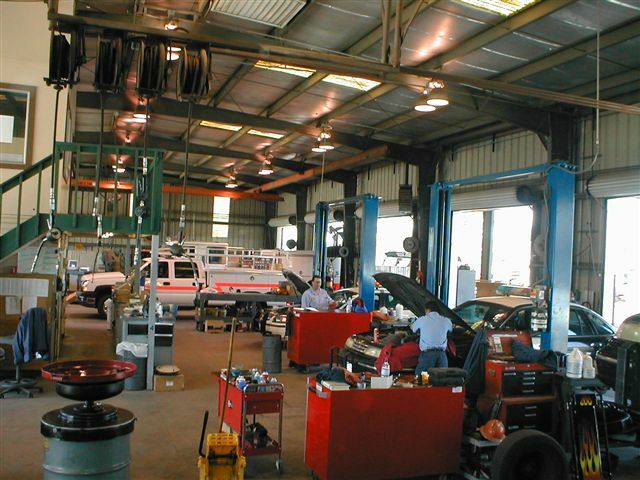 Fleet Services balances important components like the overhaul and fabrication of custom vehicle applications along with the routine tire and engine care that keeps our employees rolling. Escondido utilizes a computerized fleet management system that provides up-to-the-minute accurate information. 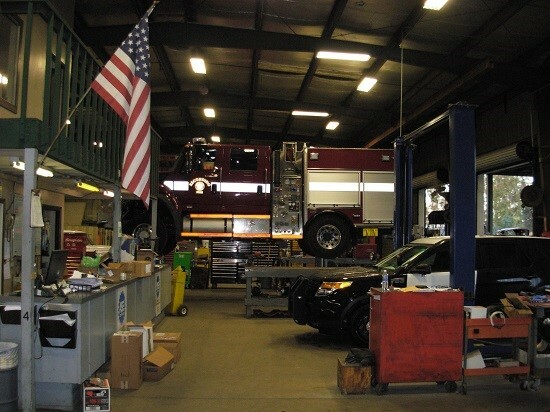 This allows for the vital support given to other City Departments who rely on us for preventative maintenance, diagnostics and repairs, and emissions testing and certification. Fleet Services provides the fluids and the fuels (gasoline, diesel, propane) that power all city vehicles and equipment. This centralized approach also enables citywide priorities for maintenance and vehicle replacement. Fleet services handles the purchase of new vehicles and the disposal of all surplus City vehicles and equipment. An efficient fleet management program reduces costs, extends the life of vehicles and equipment, and supports multiple-use operations for a higher degree of flexibility within the city. 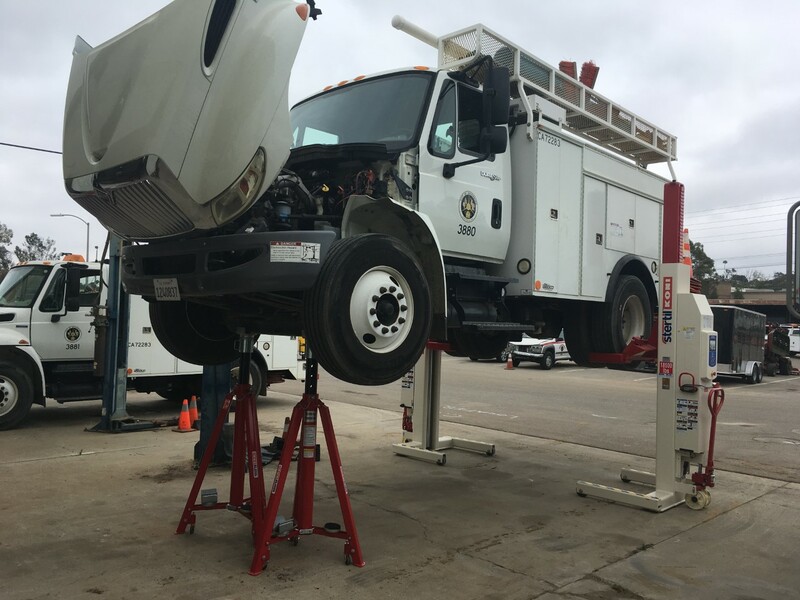 When you stop to let emergency responders pass by, or see a crew working high above the treetops, you can know that a dedicated team of professional mechanics has once again provided excellent service to your City.